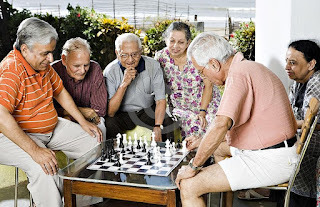 contest india indiblogger love-relationship oldage socialcause The Breasts that fed you,The Arms that held you! The other day my younger sister narrated me an incident.She was a volunteer of the social service group at her college and they had organized a visit to an old age home in Mumbai.My sister,at first was excited when she told me about her visit. She was a benevolent kind and quite helpful girl.I have supported her many times as she used to pester and nag me to accompany her for the cause. I couldn't join her this time as I was busy engrossed in resolving some code issues at office as it was deployment week.Later when I returned back home from Pune, she seemed upset and dull. I asked her to tell me the reason why she was low,but she didn't .I urged her,pleaded her,requested her and even ordered her to tell me what went wrong, but she refused to speak. I had never seen her sad since long and I was wondering what could be wrong. Later on she came to me and narrated me the entire incident which happened that day. It was shocking at first but later on it became a good discussion topic. We both used to discuss social causes and we would talk about the root causes and all. She spoke about the sufferings of old parents at the old age home.The home provides them with all the love and care but its their heart which revolves around their loved ones at home.People sacrifice their life for their children's and their children's reward them by admitting them to old age homes. Its quite disheartening to see them crave to meet their grandchildren. There are many reasons why people send their loved ones to old-age homes.These days people have turned apathetic towards their elders and as a result they send them to the care of paid strangers. Nothing comes close to the love of our very OWN loved ones.People have turned selfish and for their own personal benefit they are ready to throw their parents out of their home. People havebecome goal centric these days. Its because of this that they think that their old parents would come out as hindrances.Through out this article we would talk about the root causes and various points where change is desirable. These would be the things which I would like to change around me. For I belong to a culture where Mother and Father are treated with utmost respect and honor. The holy bible says that honor your mother and father. "Listen to your father who gave you life ,And do not despise your mother when she is old. My son,hear the instruction of thy father and forsake not the law of they mother"
These are the versus from the holy bible. All religions have emphasized the need to respect our elders in their respective Holy book. The biggest question is do we? . Why would we forsake and betray our own parents. Shouldn't there be a valid reason to this action. It depresses me. My sister broke into tears as she narrated me the story of an old grand mother whom she met at the home. This old lady had 2 sons. They both were rich enough, but their wives disliked this old woman. She lost her husband at a tender age where both her sons were having their ages in single digit. The old woman used to wash clothes,clean utensils and broom at different houses to raise her kids. She got them basic level of education and by gods grace they both got government jobs and now they both enjoy the luxuries provided by the Government of India.But they do not have time for their mother.She was the woman who sacrificed her life,toiled hard for both her sons just to live her life at an old-age home. She should have been treated as Queen.A tear drop rolled down my sisters cheeks as she told me. She said that the grandmother was pretty upset and she badly wanted to see her grandchildrens.If your parents can raise you through all the difficulties ,then why can't you.I sometimes find it strange and this raises another question.What will we get by sending our old parents to old-age homes?.I want to change the selfish attitude of the people who just want to use relations as a ladder to climb and succeed.Parents sacrifice their entire life for their childrens. They help them to grow up and eventually the childrens turn independent one day and the poor old parents seem to them just like an old rag in the house.Our parents are like the soul, you cannot function properly unless its there.We require them at every stage of our life may be not physically but inform of prayers,advices,wishes etc.These days the demands for old-age homes are increasing because of those ruthless ,transgressors who disown their own parents.How could even one think that parents would live happily at an old-age home?.If we can't give them all the happiness which they need ,then how can we expect a paid stranger to provide them with all the happiness? Aged parents were once considered as an asset in our society.Our aged parents were just a moral support to fall back on. But now its changed and its just against our cultures and traditions.People are turning busy with their career and professional life and they do not find time to talk to their parents. If you can't look at your parents ,then how can you expect your kids to look at you when you turn old.Everyone should know their responsibility and learn that parents are as important as your careers.Yes ,I even agree that by working hard everyday we can't spend all our valuable times with our parents.By keeping them with us ,we can't cope up with these changes so many people don't want them to suffer by making their parents stay with them.It is not called suffering.A good son would never term it as a suffering for suffering is a big word.Yes there are some cases where parents have to face the wrath of their very own children and hence they personally opt to live in an old-age home. Its the children's incapability to provide them with the necessary love.Old-age homes these days are used as a place where unwanted parents can be dumped. Our Indian culture has always taught us to treat our elders with respect and care.But because of modernization and inspiration from western culture we have failed to keep up to these principles and our very own parents have to suffer.Always learn the good things from life.Get inspired from the good things that the western culture teaches you.Don't just be blinded by it.Keeping our parents with us only benefits us. I want to change this attitude of people around me who consider their parents as a waste.Firstly Parents should avoid giving all their wealth's and belongings to their kids. Sudha Narayan Murthy had written a story about this in her book 'Wise & Otherwise' .Its a sensitive story about an old man and his son. I advise you guys to read that book.They should keep something for themselves too.They should not be depended during their old-age.So to induce the change , I would like to advise all young parents to make their kids realize the importance of parents in their life. Many must be aware of nuclear families. We know the problems faced in a nuclear family where both the parents work and children's have to suffer.The kids get neglected in such cases.If there would be grandparents ,then they can take care of them.They don't have to be left alone.It would be a win win situation for both the grandparents and grandchildren s.Grandparents just teach moral values to the children's and missing this only creates lots of problems.Because of this both the religious and the cultural aspects are suffering.I dream of a society where the number of old-age homes would be reduced. Learn to respect your parents for they begot you. It took me days to console my sister as she informed me that the old grandmother had died that day.She craved to meet her sons and her grandchildren's but sadly she couldn't see them during her last breath. My sister returned back to normalcy after few days and I decided to write about this.Learn to be a responsible son. I want to change this attitude of people around me who see their parents as a ladder, a ladder to make them grow up and get independent. Here is the poem of an old woman to her son. Respect your parents,Adore them.Realize their worth and let them know how much you love them. This post has been written for the Indiblogger contest, Time To Change! sponsored by Stayfree. All the images for this post have been taken from Google Images! World has become a difficult place to live in and we are forgetting our values. It's heart wrenching to see and hear such incidents. that was wonderfully penned. whatever goes around, does come around. if you make ur parents suffer, one should be prepare to get the same in return from their children and grandchildren. And its very sad to see the culture of old age homes increasing in a country like India where parents are supposed to be considered next to God. This is indeed happening in many places..! this reminds me of a post in which i wrote about a mothers grief..it was the same case where the mother waits for her son to wish her birthday and he doesn't turn up. Heartbreaking. And how beautifully you have put it to words. Hi, loved your post. Sometimes reaching our goals become so important that we forget everything but achieving it by any means. 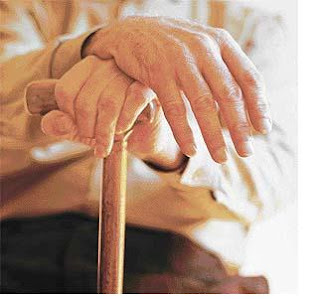 If parents become a burden during the process then off to old-age homes for them. Very treacherous the way the world works.. In western culture, the children consider it as a humiliation if they still live with their parents after certain age. 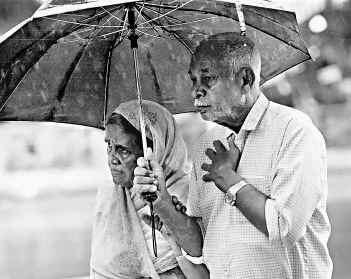 But here, we will be so attached to all the love and comfort our parents have provided us that we do everything we can to give them a comforting life during old-age by staying with them till the end. Unfortunately, many are influenced by the so called western culture. Whatever happened to humanity?? It is about time we learn to be responsible. As long as the feeling of responsibility and shared values won't come from within, it's impossible to bring a change. Well voiced. What is happening is really unfortunate. Kids should certainly treat their parents better. very well penned,it's a hienous menace creeping in society. a lot has to be done. I felt those words! They make me feel something sad and yet a menace which has to be accepted. Dude, you have written it too nicely! All the very best for contest! Wow! You've expressed wonderfully. Loved the essence and the cause you write for is something we fail to notice.